Each season, I play golf under the full sun during the three hottest months of the year. That’s a lot of exposure. I love the sun, don’t get me wrong, and there is nothing so pleasant as a warm sunny day on the golf course. But those UV rays can really add up and after time, my freckles have merged together into something more. With all the warnings about UV rays and sun damage, I make sure to visit my dermatologist at least once a year so I keep up with the odd blemish or two—just to be sure nothing is wrong. I had a friend who worried about a small mark on her cheekbone and went for a checkup. “That’s nothing to worry about,” the dermatologist told her. “But this mark here on your forehead,” the doctor pointed to a patch of dry skin my friend had not even noticed, “this is something to worry about. I’m going to set you up with an appointment to have it removed.” My friend had the beginnings of skin cancer and had no clue. The mark she had seen and worried about was nothing, the one she couldn’t detect, was the beginning of a major problem. Luckily the doctor caught it early and my friend is fine. But it could have been a lot worse. What does all this have to do with golf? In addition to wearing sunblock (see our previous post on the best sunblock to protect your skin), you should be wearing a hat, a visor, a cap of some kind to help block those damaging UV rays. There are dozens of styles to choose from—many that claim to have UV protection. One of the most comprehensive online hat stores we found is VillageHatShop.com. They have an entire sub section devoted to golf hats. 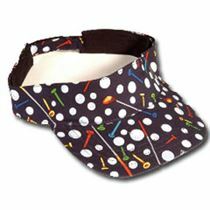 Another great site for hats, visors and caps is MadCapz, with unique fabrics that will make you stand out on the golf course. When choosing a golf hat or visor, be sure to select one that actually fits your head. This is particularly critical if you are buying a hat online. Without the chance to actually try the hat on, you must rely on knowing your correct hat size in order to buy a product that fits well. Don’t buy a hat online that is described as “one size fits most.” You will probably be the one it doesn’t fit. That’s been my experience. To measure your head, take a piece of thread, string or a tape measure if you have one and run it around your head just above your eyebrows and ears. This will give you an accurate meaurement you can use to select the correct size. Most online stores will have a hat sizing chart right on the site. Use this to translate your measurement into what’s available in hat sizes. Straw hats: If you are buying a straw hat style such as a Gambler, or Panama, be sure it comes with a sweatband inside. This will help with perspiration and also add a level of comfort between your head and the straw. Better hats will have a removable sweatband that you can wash.
Visors: There are many visors on the market today. I find many of them uncomfortable after a few holes of golf, but here are a couple you might consider: the No Headache Visor, which promises not to pinch or slide off. They come in avariety of patterns and bands. I prefer the style known as the “Spring Lace” visor. There is a plastic “springlike” strap that you can pull to adjust to your head. Unlike the firm plastic bands, these don’t become a pain in the head after twelve holes, and at only $6 – $8 you can buy several in a variety of patterns and colors. There is another type of visor that has a wide headband in addition to the visor iteself. Many of the tour players wear them, so I’m sure you’ve seen the style I mean. Perhaps it’s because I have a small head, but this style of visor doesn’t quite sit correctly. If I begin a round wearing this visor, it’s hanging off my bag within a hole or two. Caps: Most men on the golf course where a cap in the style of a baseball cap. 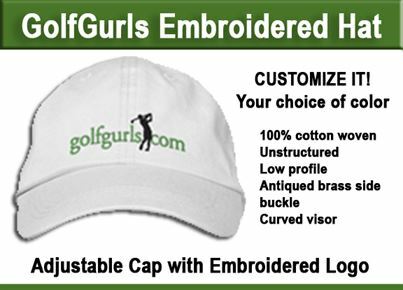 Works great for guys, but crushes most women’s hair so that when you finally do get to the 19th hole, you don’t dare take off the cap for fear your hair is all sweat and spikes. Bottom Line: The choice of hat is up to you. With so many styles to choose from and a wide range of prices and materials, the selection is unlimited. 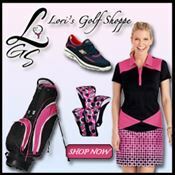 Choose straw, cotton, wide brim, narrow brim, pattern or solid— just be sure it fits properly and protects you from the sun so you can enjoy your next round of golf without any worry. Does A Golf Glove Really Make A Difference To Your Game? ← Does A Golf Glove Really Make A Difference To Your Game?